Bring the no-fail cooking method professional chefs rely on to your kitchen with the Hamilton Beach Professional Sous Vide and 6 Quart Slow Cooker. 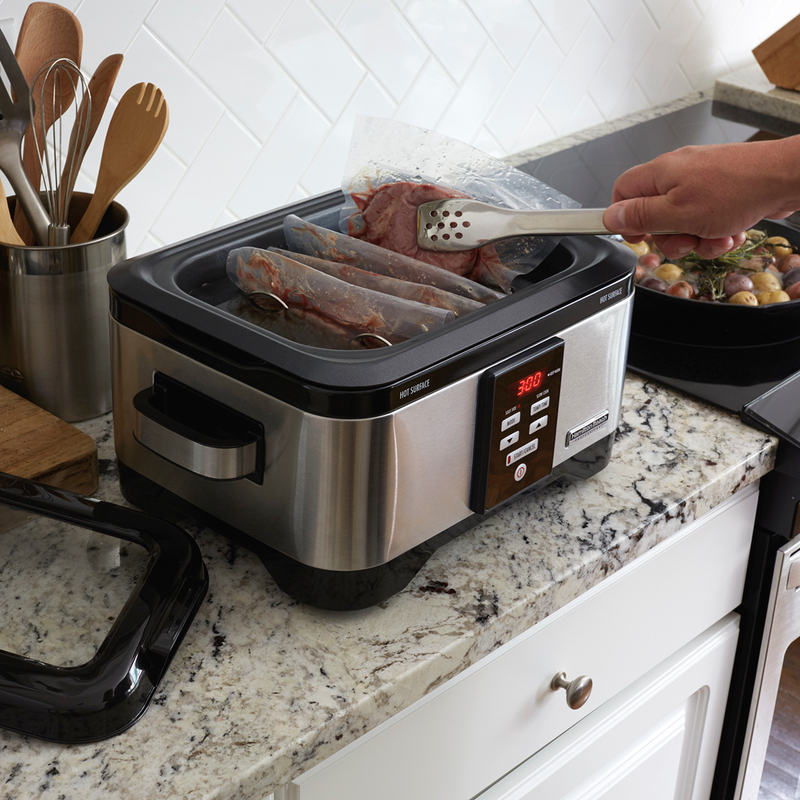 This sous vide water oven also doubles as a slow cooker, giving you two of the most convenient cooking methods in one countertop appliance. Whether you’re a grilling enthusiast seeking that perfectly pink center, or a frequent entertainer who wants to wow guests with a tender roast, or a family that just wants easy and flexible cooking, the sous vide method is for you. How does it work? 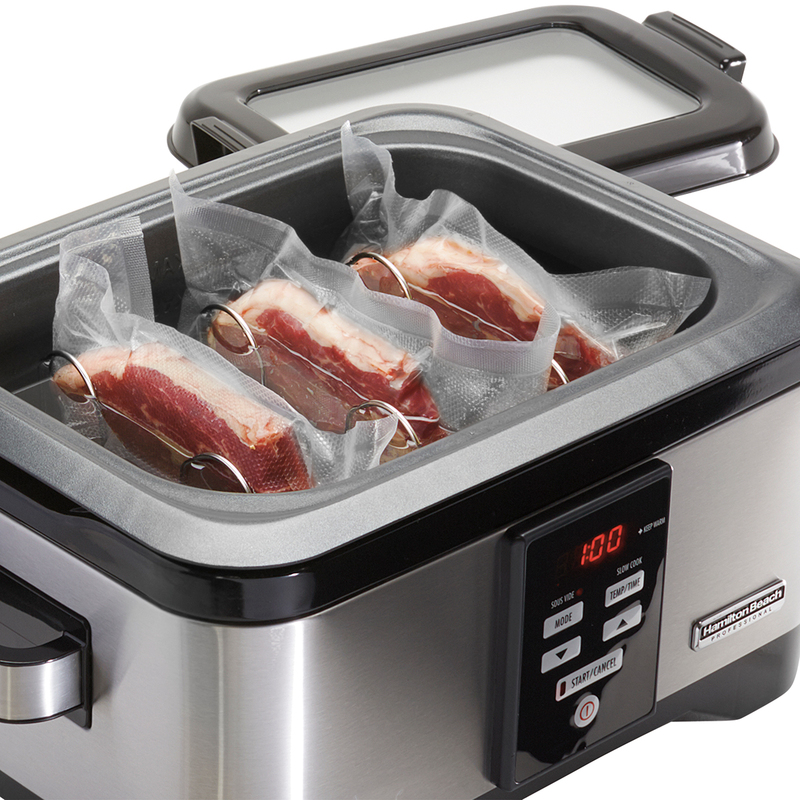 It’s a simple process of cooking vacuum or bag-sealed food in a precise temperature-controlled water bath. The result is evenly cooked food. Your food won’t run the risk of being over or undercooked because sous vide only cooks to the precise temperature of the water bath. Exceptional for cooking meats and fish, the sous vide is also great for eggs, fruits, vegetables and even desserts. Switch over to slow cooker mode to cook an entire meal without any monitoring. You can program your cooking time and temperature, and once that’s ended, the slow cooker will automatically switch to warm. 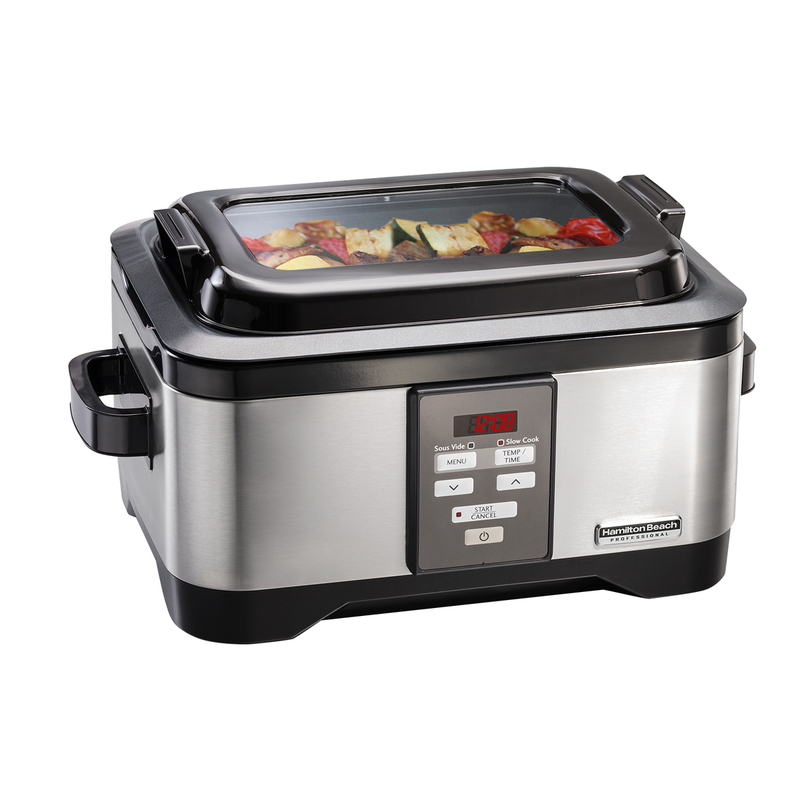 Both modes offer the ease of walk-away cooking. The 6 quart nonstick vessel removes for easy water fill up and clean up. No more predicting heat settings to get the best internal temperature – the sous vide method cooks food at the desired internal temperature. And because the temperature is precisely controlled throughout the cooking process, it reduces the chance of over- or undercooking and food is evenly cooked throughout. 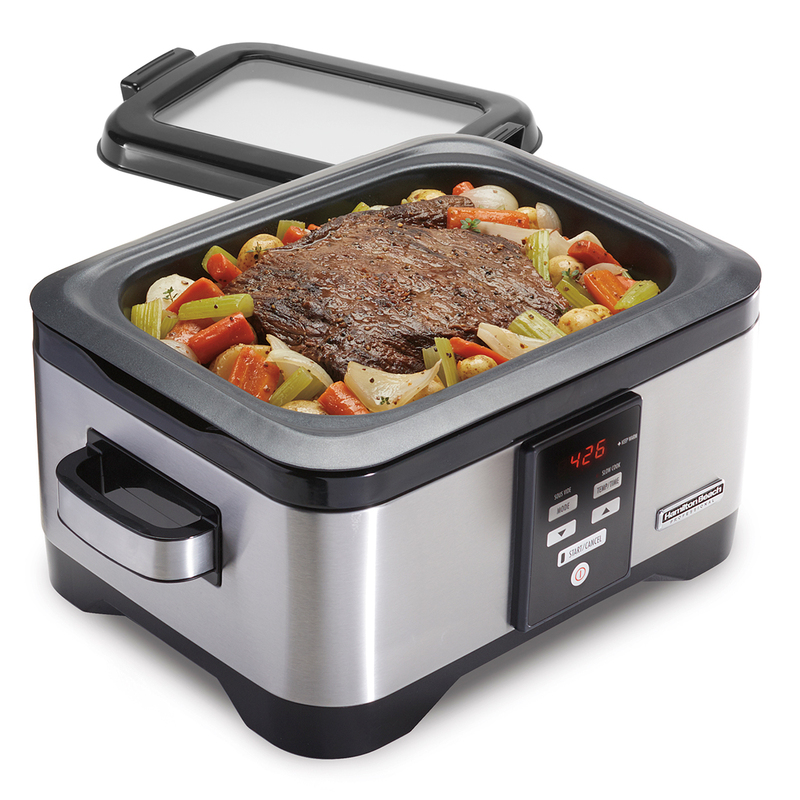 Switch from sous vide to slow cooker in just a press of a button. 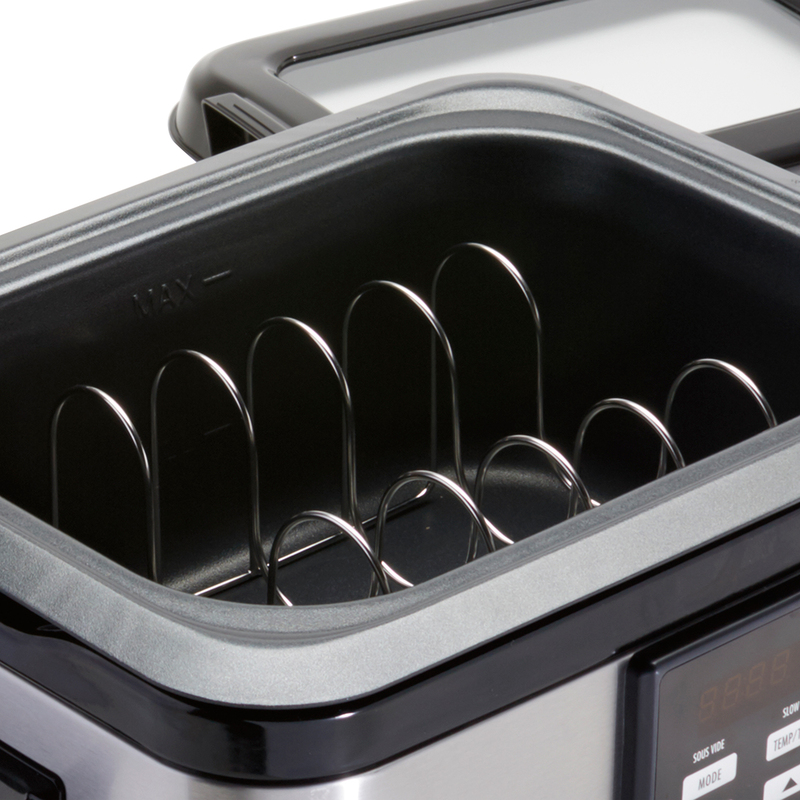 Both options let you program time and temperature for hands-off cooking. Because the water bath’s temperature is low and controlled, you won’t run the risk of overcooking if time gets away from you. The slow cooker mode can be programmed in advance and automatically switches to warm, so dinner’s ready whenever you are. 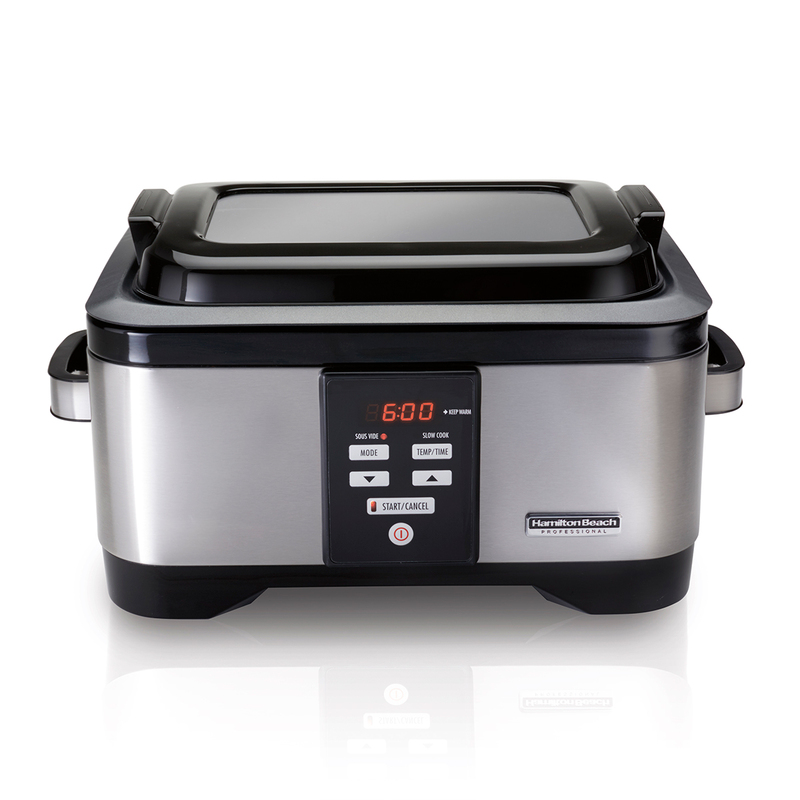 Hamilton Beach Professional Sous Vide and Slow Cooker’s exceptional performance and superior durability is backed by a 5 year limited warranty. Season food and place in a vacuum-sealed or re-sealable, heat-safe bag, that’s BPA-free, PVC-free and labeled suitable for sous vide. 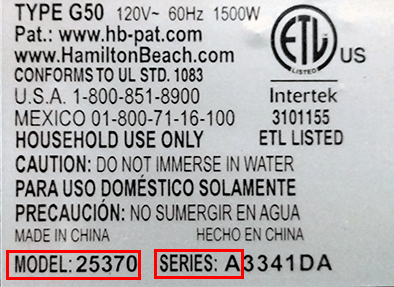 Fill your sous vide with warm water, select temperature and time, then press start. 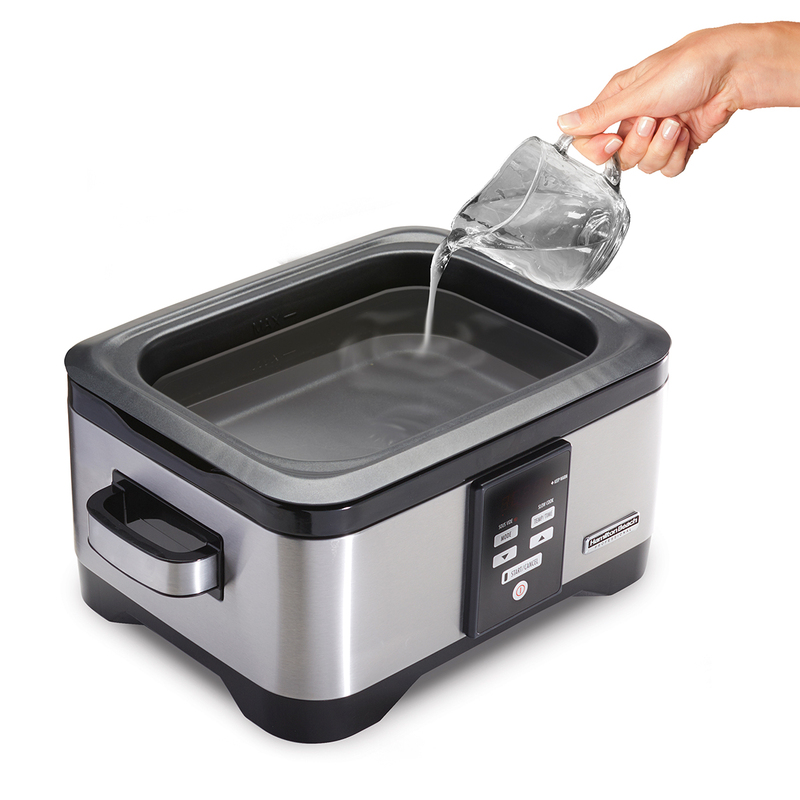 Once water has reached the desired temperature, place the ingredients into the sous vide water bath, cover with a lid and enjoy the walk-away convenience. 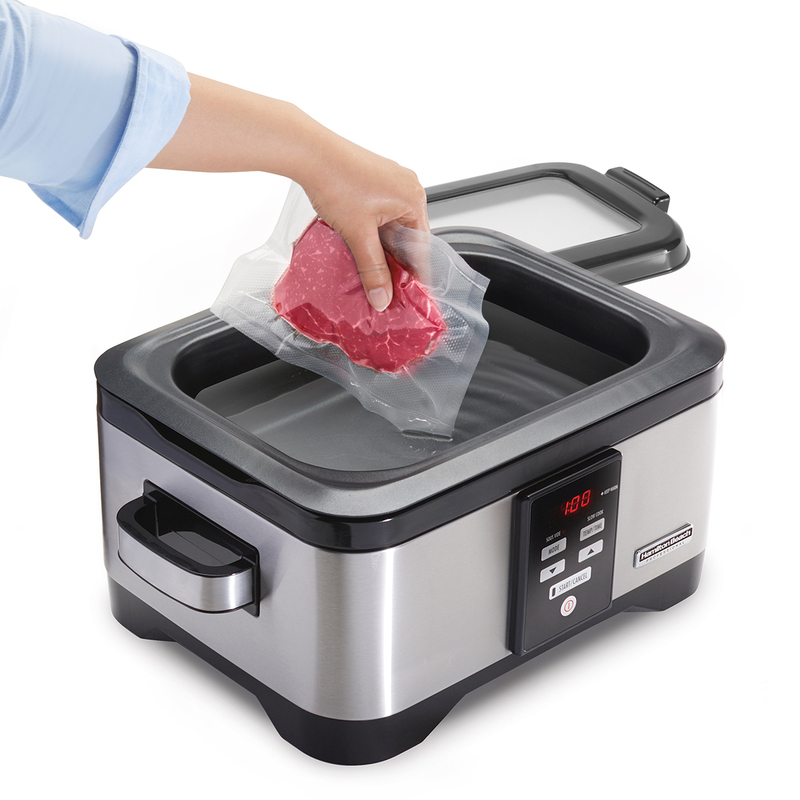 Remove food from bags and enjoy delicious, tender food that’s cooked to the precise temperature you selected. Searing off meat is optional but adds a nice finish to your meal.